Omaha Game Developers Association | Omaha has more than cows and corn! If you want to stay up to date about what is happening with OGDA please follow our Twitter and or Meetup pages. They are constantly and reliably updated with what we are doing. Also if you are trying to contact us please Direct Message us through Twitter and we can either chat their or exchange emails. On May 11th our guest speaker will me Megan Vokal. She was a local game designer but last year got a job at Infinity Ward. She will be talking to us about some of the day to day stuff of being a game designer at a big AAA studio. Make sure to come out and hear what she has to say and learn something! Meetings are still at Do Space at 7pm. It is a new year which means new projects, or finishing old ones. But regardless the status of your project, we are still having or meetings every second Thursday of the month at 7pm at DoSpace. Though this meeting we will have Forrest Catlett and Dave Mark as our speakers for the night. Forrest will be speaking about board game design. While what Dave will be speaking about remains a surprise. But I hope to see a lot of new faces non the less. Though to close out the year, please watch the following video that sums up some of the games we made in the past year. Octobers meeting will be on the 13th at 7pm at Do Space. Make sure to bring out your Works in Progress or just share an idea that you have pondering over. Our next meeting will be August 11th at Do Space. Make sure to bring your WIP’s. More importantly, please support one of our own local game developers, Jeff Brooks. Jeff is the founder of JB Gaming Inc and has already released a mobile game called Udder Panic. 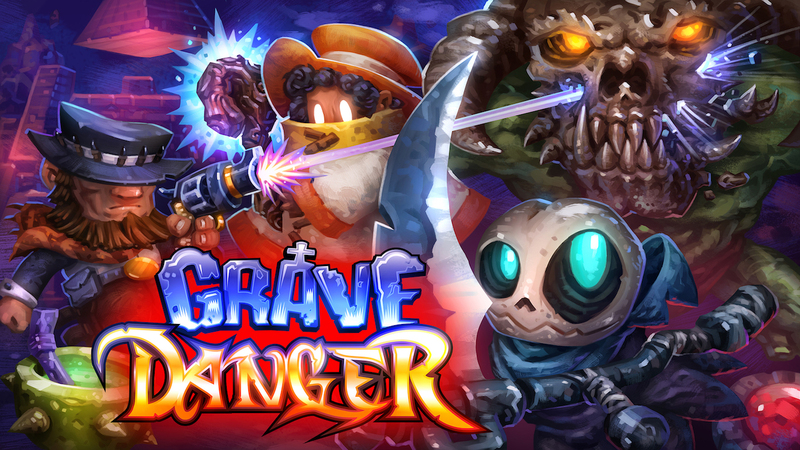 His most recent game is Grave Danger, which is currently on Kick Starter! 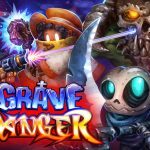 Now of the time of this posting, the Grave Danger Kick Starter has 20 days left and is far from reaching its goal. So on behalf of the OGDA I would like to ask everyone to become a backer for Grave Danger! Any and all support would be greatly appreciated! Sorry this one snuck up on us since it doesn’t feel like the 3rd week in April. Our April meeting is tomorrow, the 18th from 6 until 10 at UNO again. (Same place as the last 2 months.) We meet on the campus of UNO in the CEC building (Community Engagement Center), room 127. Here’s a map of the actual building. The CEC is the building just south of the big clock tower in the middle of campus. Parking in any of those lots is free on the weekend. No word yet on what we will be doing… but we always do seem to come up with something, don’t we? We had to scramble at the last minute, but we have a new location for tonight’s meeting! We will be on the campus of UNO in the CEC building (Community Engagement Center), room 127. Because they have a meeting in there until 6, our start time will be 6:30. It looks like our run at Bellevue University has come to an end. Our usage of that wonderful facility was secured because Alex Meyers was teaching there for a few years. He is no longer doing so (he’s at Creighton now) but had penciled us onto the schedule through the end of 2014. Somehow, we seem to have reached the end of 2014! This means we needed to start hunting for a new location. While we aren’t sure if this is a permanent arrangement or not, we have received an offer from the Omaha Code School to use their facilities this Saturday for our January meeting. We really appreciate them volunteering the location on such short notice. We really look forward to checking out their place and learning a bit about what they do there! In fact, some of our OGDA members are mentors there! So, let’s get together this Saturday night and show them a bit of what WE are about! We will be meeting at the usual time of 6-10PM. The Meetings page has been updated with the new location info and map. For those of you not blasting out of town for an early start to holiday visiting, remember that we have our regular monthly meeting this Saturday the 20th at 6 PM. Come show off what you have been working on or explore what others have been doing!